He is born in Japan in 1946 and graduated in Ritsumeikan University in Kyoto, Japan. It is difficult to say when he started Aiki Jutsu, because he was born in Budo Family. His father taught him Judo and chiropractic techniques, one of his uncles taught him Go Ju Ryu Karate and one of his grandfather s taught him Aiki Jutsu and Aiki Do. 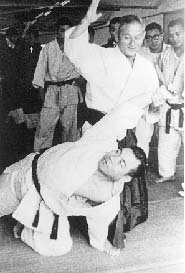 Grandfather –Takuma Hisa (1895-1979) – was a great master of Daito Ryu Aiki Jutsu and the founder of “Takuma-kai“ in Japan. 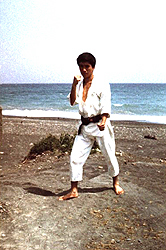 Aiki Jutsu was a part of his Budo education in his childhood. Yamaue Aiki Jutsu is related to Takeda Aiki Bujutsu = Daito Ryu Aiki Jutsu. He also practised Shorinji Kempo (Japanese style of Shaolin Kung Fu ) and many kinds of Chinese Kung Fu. He is well known in the world as a founder 10th Dan of Nord Shaolin Kung Fu (a new system based on northern Shaolin tradition) and Yamaue Ryu Aiki Jutsu. 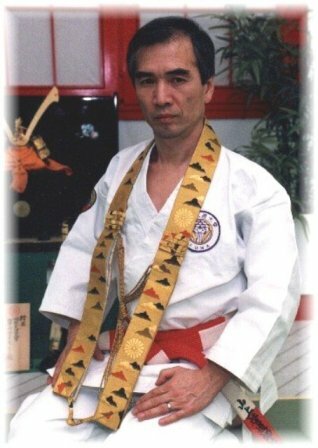 Soke Yamaue receives several Budo awards, International Hall of Fame awards and recognitions from all over the world every year. The I.U.M.A. 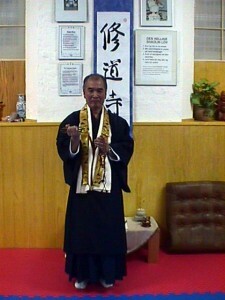 is founded in 1990 by Soke Keido Yamaue 10th Dan, a Buddhist priest and culture representative of Daishoji Imperial Temple and Saga Imperial Palace.